Kerbal Space Program has occupied a lot of my time lately. To date, I have put more than 70 vehicles in the air, more than 40 of those have crashed, 15 have exploded on the pad and at least three have been lost to the bowels of space. That dozen of successful missions have taken me from Kerbin orbit, to the Mün and Minmus, into solar orbit, and into orbit around Duna. I recently had an opportunity to talk to Bob Holtzman, head of PR for Squad, the company behind Kerbal Space Program. 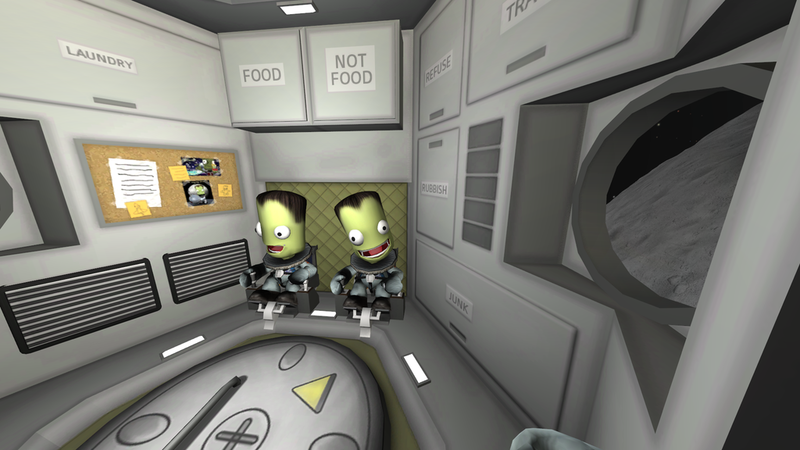 We discussed the history of the game, the latest update, KSP's incredible community and the adventures our intrepid Kerbals are bound for. Somnambulant Gamer: How did Kerbal Space Program come to be? Bob: Squad was originally founded as a marketing agency by Ezequiel Ayarza, who soon after added Adrian Goya. Squad specialized in the development of interactive marketing technologies. They wanted to create a very employee-friendly workplace and created a program to “Make Dreams Come True” for employees. They would listen to business ideas from the team and help create a business plan. Kerbal Space Program was a game concept Felipe Falanghe, who is the lead developer on the project, had since he was a child. He worked with Ezequiel and Adrian to create a plan for the game and they agreed to fund and support development. It’s been a success for everyone involved. SG: Kerbal Space Program just launched a redesigned space center including an astronaut training center. What can we expect to come from future updates? Bob: When we launched the updated space center and astronaut training center, we also announced it would be the first of several updates focused on our Career Mode, which will be a space agency building simulator, built on top of the existing sandbox mode. We’ve already let our community know we’re focused on creating an R&D component, which will establish tech trees within our builder. It should be a really exciting addition. There will be several other updates focused on making Career Mode a real exciting aspect of the game. SG: The first alpha was released in 2011. Since then, the game has grown a great deal. How do you know when it’s done? Bob: Good question. Our focus is making sure we can complete the original vision of the game from Felipe and his team. That’s still going to take some time and we have several updates loosely planned for the next several months. right now? Are any being incorporated into the game? Bob: Everybody has their favorite mods for KSP and we owe a great deal to this part of our community. The Space Planes Hangar came about because of a mod – and we’ve hired two of our developers because they created the original mod for space planes. We work closely with our modding community but don’t have any current plans to adopt another mod into the game. We think part of the fun is to give people the option to mod their game to their specific likes, so we try to focus on our vision and let others do what they wish. really embraced the project. Has that support changed the game or its goals at all? Bob: I can’t tell you how meaningful this support is to our development team. We’re in contact with space charities and programs to continue to show support for the scientific community. I wouldn’t say our goals have changed nor the game itself, but the team definitely learned that players like the realistic physics and the challenge offered. SG: Recently on the KSP subreddit, a user described using KSP as part of a physics lesson plan. Is this something you’d like to see more of? Bob: Of course! It’s always an honor when your work is helping teach physics and offering more than just another fun gaming experience. Our team is proud of this and we’re actively looking for ways to help teachers use KSP. We will let you know when we have more information on these plans – but nothing is concrete yet. SG: What has been your experience with the Unity Engine? Are there any tips you would give to other developers looking to use Unity? Bob: Our developers feel like they made a great choice using Unity and said any limitations are the same you’d find with other engines. One of their favorite aspects is the ease with customizing and experimenting with it. Rapid prototyping is effective in Unity. SG: Will the explorable space in KSP be expanded beyond their local solar system? Any plans to include other astronomical phenomena (asteroids, comets, etc)? Bob: KSP prides the realistic approach it takes to the science of space travel, which means we have no current plans to expand beyond the Kerbin Solar System. We are discussing and considering asteroids and comets but neither are on our short term schedule. SG: If you could give novice KSP players one piece of advice for their designs, what would that be? Bob: Experiment as much as you can – there’s going to a bit of a learning curve. Also, setting goals for yourself will really help. If you need help, we have a great community who has created tons of amazing tutorial videos and are active in our community channels. Put all of that to use. 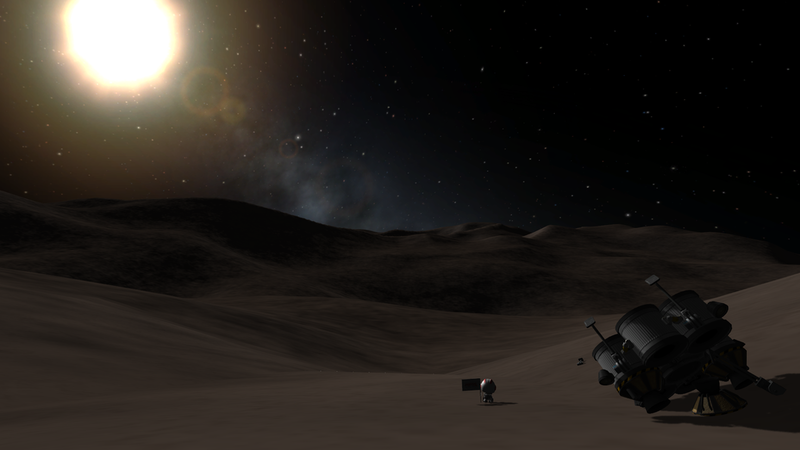 Kerbal Space Program is an amazing game, headed by a very talented group of people. While challenging, it offers one of the most rewarding and inspiring experiences I've had in recent memory. The first time I attempted a landing I got the same goosebumps when the Curiosity Rover landed on Mars. I may never actually make it to space, but through Kerbal Space Program, I can at least take part in the thrill of exploration and discovery.